What is the Best Auto Sandpaper? What is Tiger Hair Bondo? 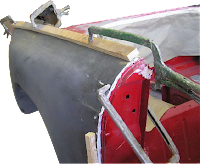 Accurate measurements are vital in all areas of auto body repair. From paint to epoxy, sealer to primer, everything needs to be measured and mixed correctly. Doing otherwise leads to costly waste in the best case, and poor quality results for customers in the worst case. Traditionally, mixing and measuring have been hard to do, particularly given the wide range of liquids that most body shops have to deal with. Add to that the fact that you don’t really want to mix some of those liquids together, and you’ve got a tough situation. EZ Mix has a clear solution, though. EZMix products offer the accuracy, control and easy mixing capabilities you need. 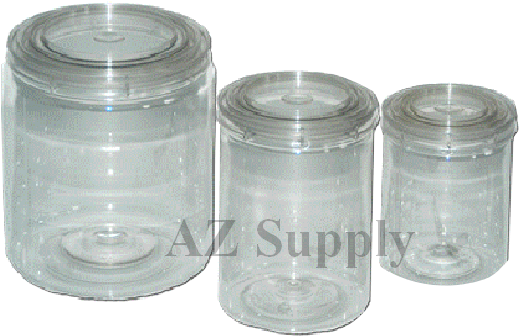 The company manufactures a range of mixing and measuring products, ideal for any shop, large or small. Perhaps the best thing about these clear cups is that they’re completely disposable. Use them for your mixing and measuring needs, and then toss them out. That eliminates the time and hassle of trying to remove dried paint from permanent mixing and measuring systems, and saves you money in the long run (saved time equals savings on payroll). One of the most difficult things about mixing paint is the fact that you need to see what you’re doing. In a solid colored mixing cup or bowl, that’s impossible to do. The immediate result is the wrong mixture, or so much time spent trying to get it right that you’re falling behind on your work. Clearview technology (EZMix’s unique solution to the visibility problem) ensures that you can always see exactly how much of what paint or other liquid you’ve got in the cup, making mixing a cinch. EZ Mix clearview products aren’t only available in cups, either. You’ll also find bowls, pitchers, buckets, bottles, clearview cans and even spray bottles that double as paper towel holders. The range of product types ensures that no matter what type of shop you’re running or what type of job you’ve got going, you can get the ideal mixing solution. Not all paint mixing needs revolve around mixing containers, as any shop owner will tell you. That’s why EZ Mix produces several other vital products, including color match cards, touch up bottles and paint sticks (yes, those are for mixing). With the range of products available, you can save an immense amount of time and money. Most car owners who want to keep their cars in excellent condition rely on auto body repair work. Unfortunately, professional services can cost more than a few hundred dollars. On the other hand, a DIY project could always provide the desirable results in a timely manner, as long as the user counts on the right tools and equipment and follows all of the instructions, step by step. Even a minor fender bender can compromise the aesthetics of our vehicles. Numerous people choose to take this matter into their own hands and eliminate dents and bumpers using a high-quality body panel adhesive. What are the main attributes of a reliable adhesive, used by a large number of automotive repair specialists? With so many fiberglass and SMC repair adhesives currently available on the market, it shouldn’t be a surprise that most car owners are confused and indecisive when it comes to selecting the right automotive body panel adhesive tailored to their real needs. An excellent adhesive creates a solid bond between plastics, fiberglass panels, and SMC, enabling users to save time and money while performing high-quality cosmetic repairs for their vehicles. A quality SMC repair adhesive will also help the car owner eliminate cracks and tears, which could easily compromise the aesthetic side of any automobile, in a time- and cost-effective manner. With the new generation of revolutionary, highly accessible adhesives displaying unbelievable strength, panel repairs and bumper repairs become child’s play. What separates a top-ranked automotive adhesive from its average competitors? If you are looking for long-lasting results, opt for a premium product, like Fiberglass Evercoat adhesives, designed for an incredibly convenient, successful DIY automotive repair process that does not require the usage of an expensive dispensing gun. The line of premium automotive adhesives launched by Evercoat to glue SMC, steel, e-coated panels, traditional fiberglass, and aluminum to each other or to metal surfaces, ensure fast, long-lasting results, an excellent adhesion, real financial savings, and a much-appreciated lifetime warranty reflecting the superior quality of these top-rated body panel adhesives.